HAPPY BIRTHDAY from all of us in the Snippets Playground Em!! Hope you're having a wonderful day - great start with this beautiful card! Such a lovely birthday card! Wishing you the happiest of times today on your special day. Beautiful birthday card...Happy Birthday to you! Happy Butterfly Birthday Em. Thank you so much for taking time to post your very creative art with us this week at Word Art Wednesday, in our 198th challenge. Happy Birthday Em! 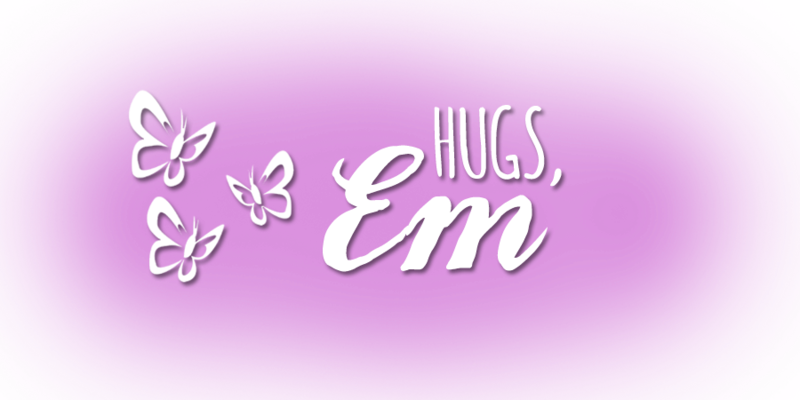 Love your beautiful butterflies! Hope your day was great! Just and to jump out here and wish you a happy birthday again (This time it is on the correct day). LOL. 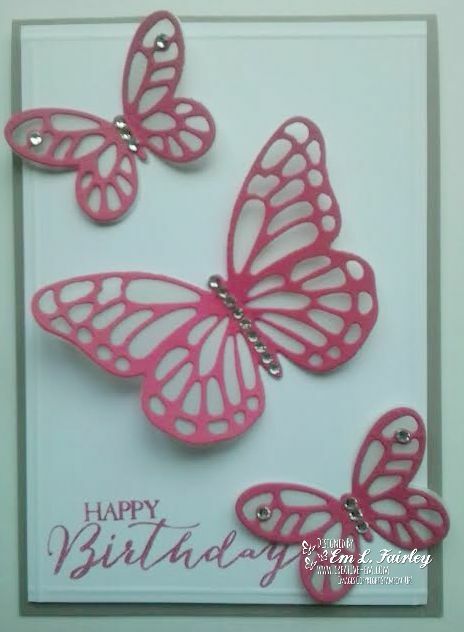 Beautiful butterflies and card to match. Hope you had a wonderful birthday!! Your card is so pretty. Thanks for sharing with us at Word Art Wednesday this week! Happy Belated Birthday Em. I hope you had a wonderful day. Your card is gorgeous. Love the butterflies! Wishing you a rather belated Birthday Em ... hope you had a great day! Love your gorgeous CAS card - the butterflies are wonderful. Thanks for playing along at Incy Wincy Designs this week. Beautiful - love those wonderful butterflies!